This video has been aligned to the Technology Integration Matrix, but we have made it available here without reference to its TIM profile for use in professional development activities. To what extent do the students have direct access to technology tools? Who is making decisions about which technologies to use and when to use them? The teacher, the students, or both? Do the students have the ability to choose among multiple technology tools and apply them to meaningful learning activities? In terms of the TIM, how would you describe this lesson? How can you describe the technology use through the lens of each characteristic (Active, Collaborative, Constructive, Authentic, Goal-Directed)? What level of technology use is best represented (Entry, Adoption, Adaptation, Infusion, Transformation)? What questions would you have for the teacher about his or her decisions about how technology is integrated in this lesson? What changes to this lesson might change its TIM profile? What suggestions would you have for this teacher about this lesson? 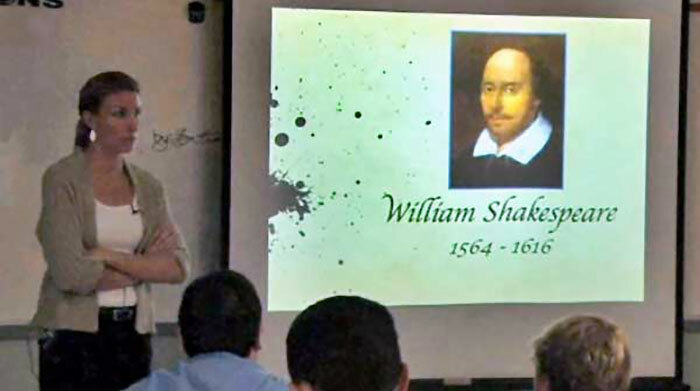 Since the focus of the TIM example videos is always on teaching rather than technology, some of the videos may contain technologies that are no longer current. If this video includes technology no longer used at your school, how could the teaching practice illustrated be applied to the technology currently available to you?